Prototype: German Federal Railroad (DB) 2-axle glass tank car for transporting high-proof liquids. 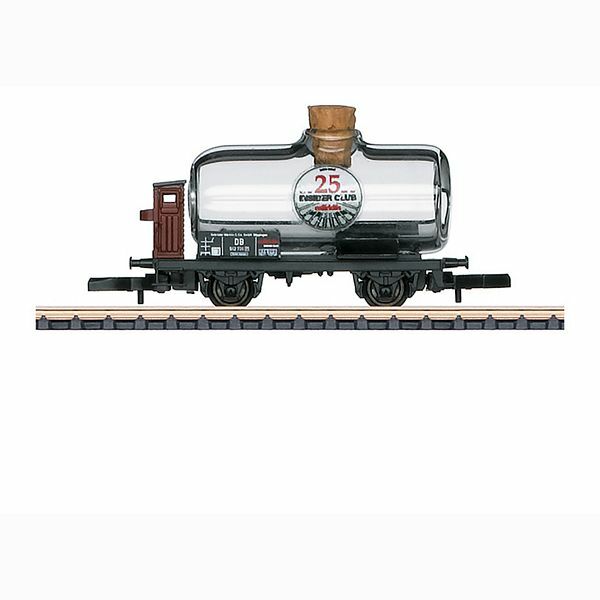 Model: This is an exclusive glass tank car for 25 years of Insider membership. The tank is made of real glass with an imprinted anniversary logo and a cork seal. Length over the buffers 40 mm / 1-9/16". The 86025 glass tank car is being produced exclusively for Insider members with 25 years of membership.